Our body naturally sheds millions of skin cells every day. These cells are so small that we do not realize this process is even occurring. Sometimes, these dead skin cells can build up on the surface of our skin, making it appear dull and flaky. 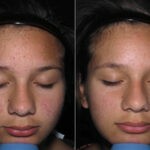 This build up can also block pores which leads to breakouts and congestion. Exfoliation is the process by which these built up dead skin cells are removed using a physical or chemical exfoliant. Physical exfoliants use small granular particles that manually abrade the dead skin cells, removing them. These products are often referred to as scrubs or polishes. 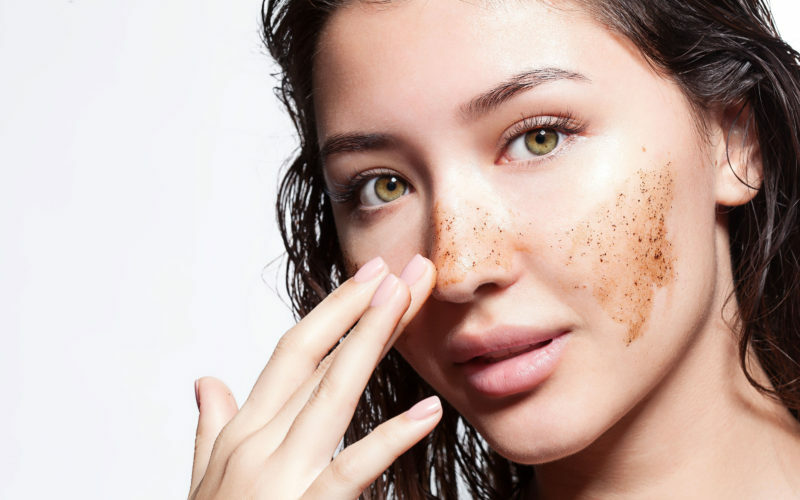 Alternatively, chemical exfoliants use enzymes and acids to either digest dead skin cells or break the bonds between the cells so that they fall away from the skin. These types of products are often referred to as enzymes or peels. However, many products will combine both physical and chemical exfoliation to remove unwanted dead skin cells. Exfoliation is an important part of any skin care regimen. Removing unwanted dead skin cells keeps the skin clear by preventing pore congestion. It will also keep skin looking youthful and vibrant, while minimizing fine lines. 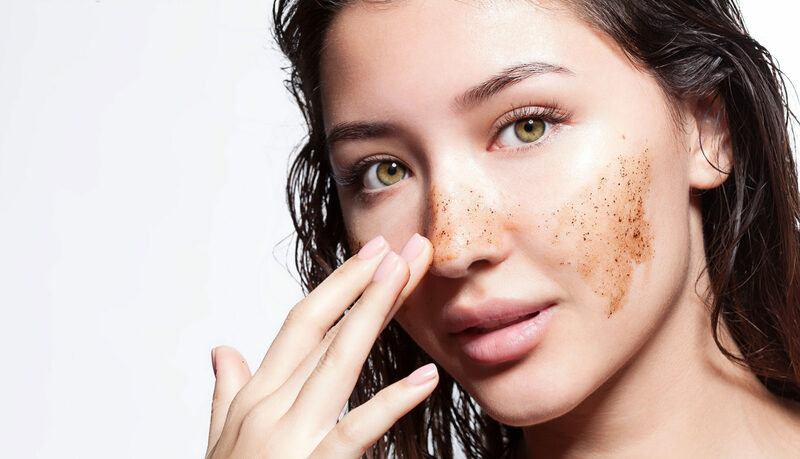 Exfoliation promotes cell turnover by replacing dead, flaky skin cells with newer cells, which encourages new cell production, brightening and reviving the skin’s appearance. Additionally, exfoliants are a great way to maintain the results of a facial, as it continues cell turnover until your next facial appointment. At Bamboo Leaf, we carry several exfoliants from Eminence Organic Skin Care to match the client’s skin type and needs/wants. 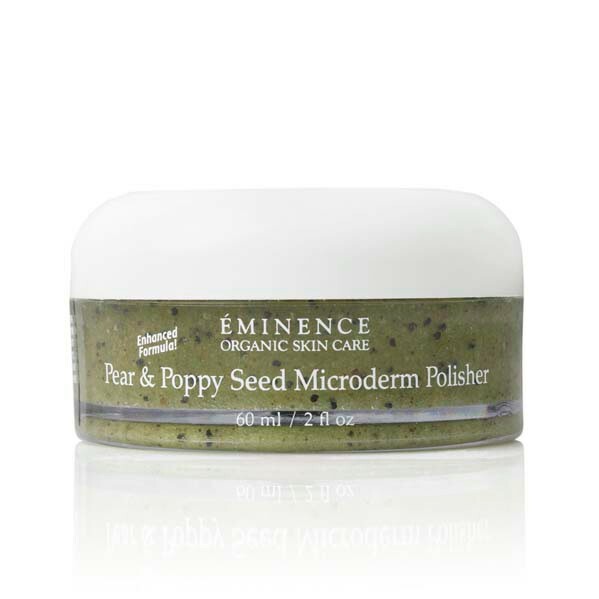 Pear and Poppy Seed Microderm Polisher – A gentle mask/scrub for all skin types. Formulated with antioxidants and skin softening ingredients, the Pear and Poppy Seed Polisher gently buffs away dead skin while infusing the skin with age defying benefits and a rosy glow. Stone Crop Oxygenating Fizzofoliant – A small particle, powder to foam scrub that is great for all skin types and is mild enough for everyday use. A deep cleaning, anti-pollution scrub, it gently removes impurities, brightens, and revives skin by infusing the skin with oxygen. Ideal for use in the PM. Strawberry Rhubarb Dermafoliant – A large particle, powder to paste scrub that is good for all skin types. This mild daily use exfoliant buffs away dead cells, leaving skin smooth, radiant, and prepped for makeup and skin care application. Ideal for use in the AM. Rosehip and Maize Exfoliating Masque – A maskexfoliant that may be used on all skin types, but is especially beneficial for sensitive, oily skin conditions such as acne and rosacea. This exfoliant removes impurities while calming sensitized skin. Calm Skin Chamomile Exfoliating Peel – A gentle, leave on peel great for sensitive and rosacea prone skin. It encourages new cell generation while moisturizing and calming inflammation. 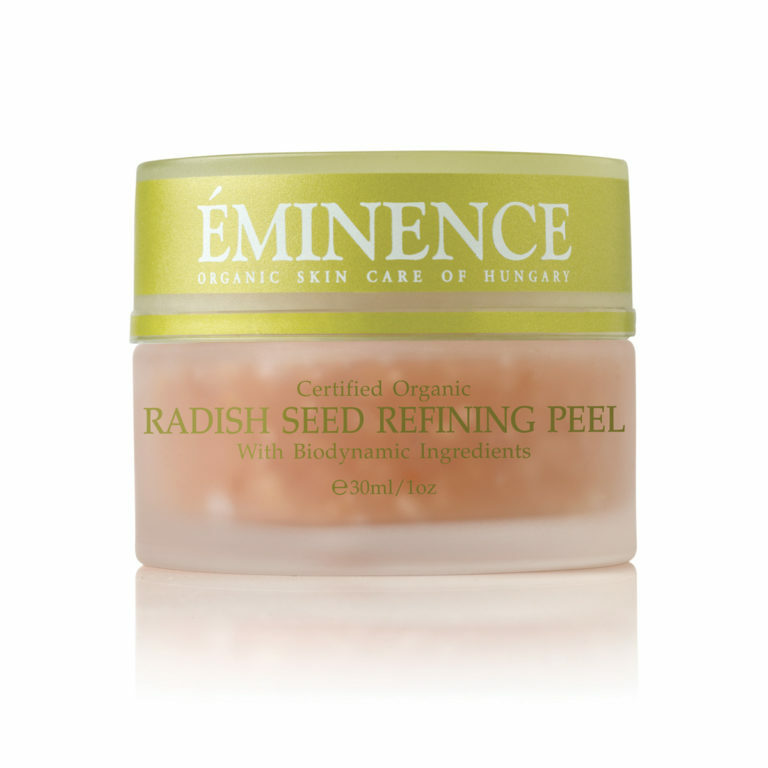 Radish Seed Refining Peel – A hypoallergenic peel for easily irritated and rosacea prone skin types. The Radish Seed Peel helps prevent breakouts and stimulates cell turnover. It also helps to smooth fine lines and detoxify the skin. 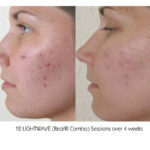 Arctic Berry Peel and Peptide Illuminating System – Even though this system (that includes an exfoliant, activator, and peptide cream) can be used by all skin types, it specifically targets aging, hyperpigmentation, as well as rosacea and acne. It is a great supplement to the Arctic Berry Peel Facial and will help skin to retain its smooth, luminous appearance between facial appointments. 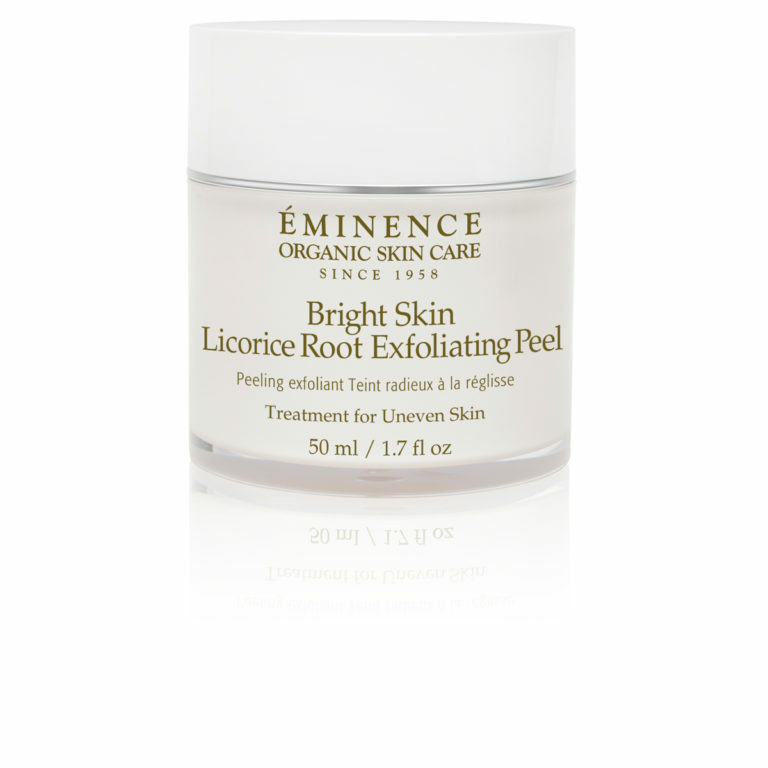 Bright Skin Licorice Root Exfoliating Peel – This leave on peel solution helps to even out skin tone by lightening existing hyperpigmentation and brightens up dull skin. 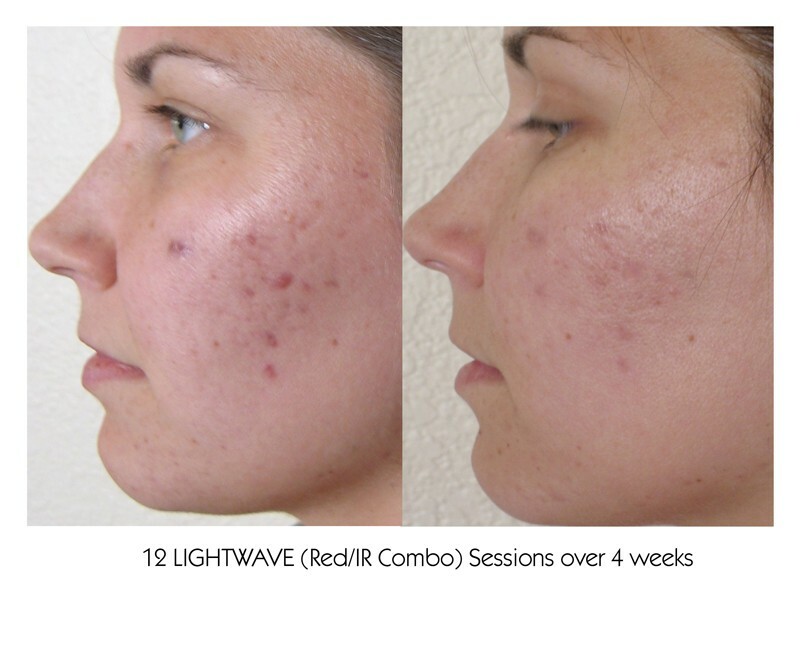 Easy and quick to use, the Bright Skin Peel also protects skin from future free radical damage. 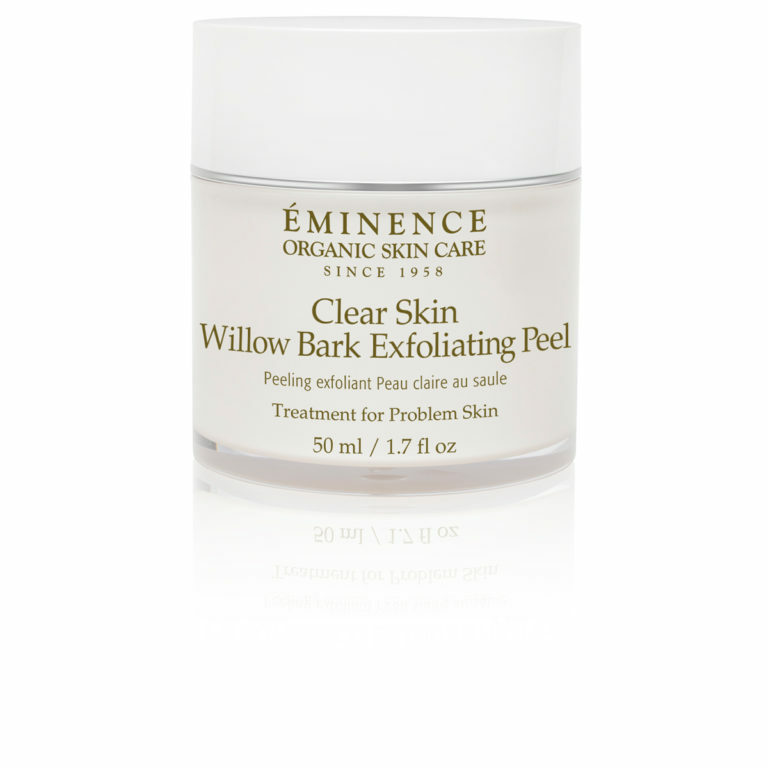 Clear Skin Willow Bark Exfoliating Peel – This deep cleansing leave on peel solution is simple to use and is great for acne prone skin. 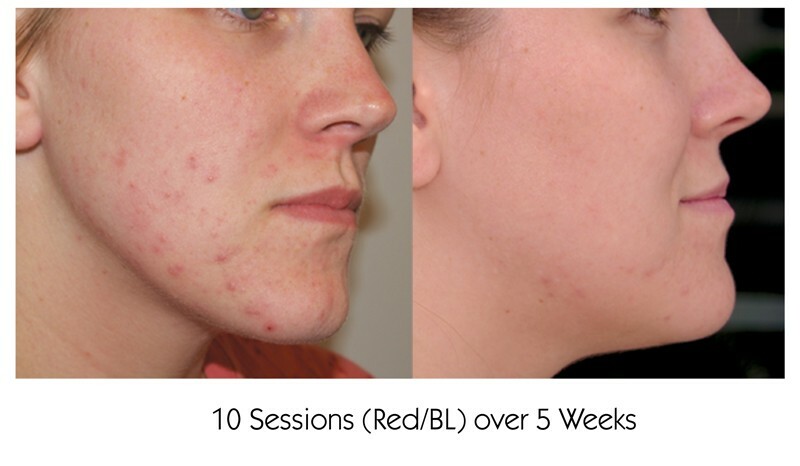 It helps to clarify existing breakouts, while reducing the appearance of hyperpigmentation caused by acne, and the occurrence of future breakouts. 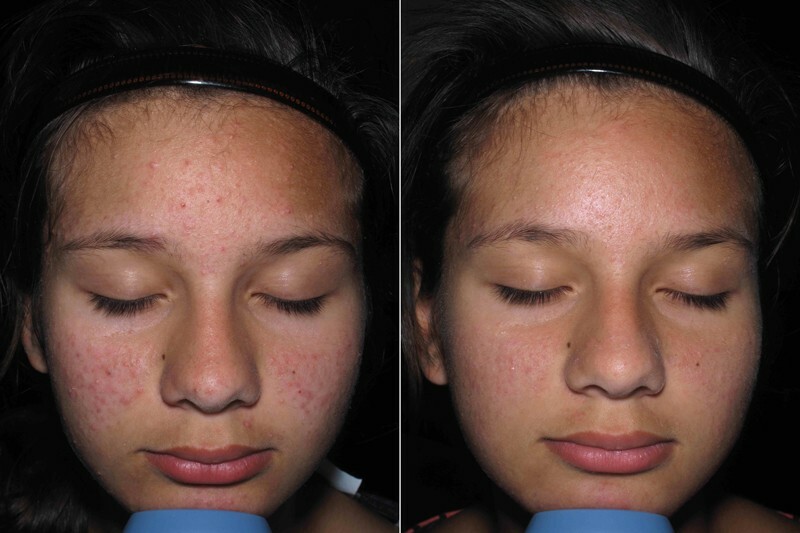 It also calms inflammation and reduces the redness associated with acne. 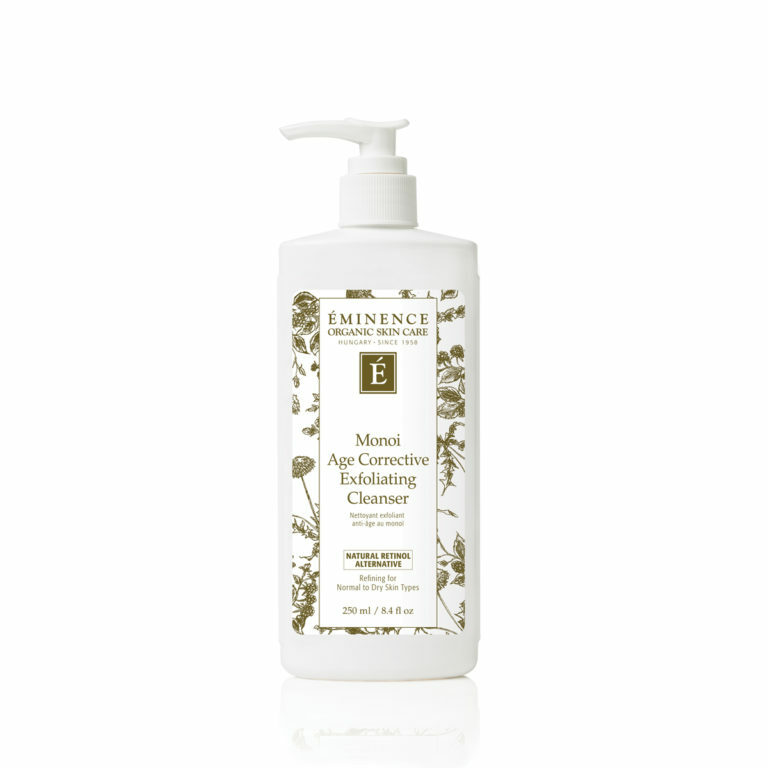 Monoi Age Corrective Exfoliating Cleanser – A creamy cleanser containing finely ground olive seeds that removes surface debris while increasing collagen production. Great for aging, normal to dry skin types, it accelerates cell turnover and smooths the skin. 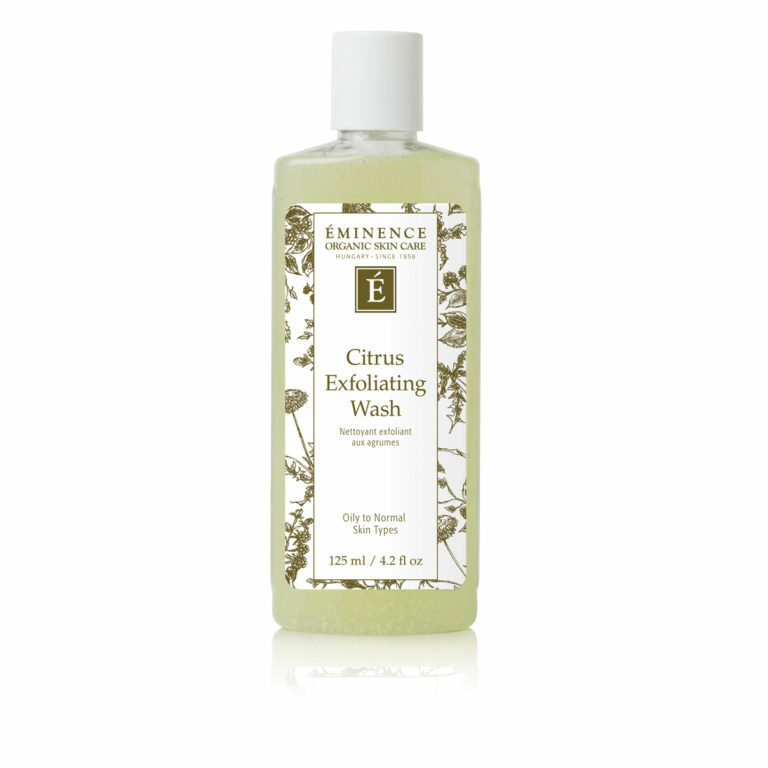 Citrus Exfoliating Wash – A gel cleanser that cleanses and exfoliates in one easy step. Great for normal to oily skin types. Lime juice and silica minimize pores and remove impurities, leaving skin clear and bright. 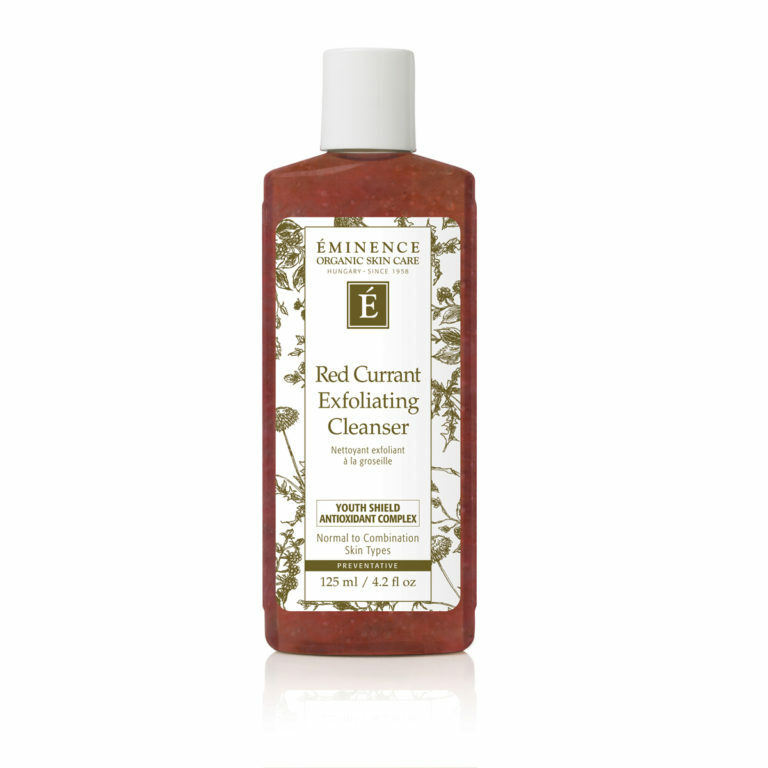 Red Currant Exfoliating Cleanser – A gel cleanser formulated for combination skin and packed with antioxidants to help maintain skin’s youthful glow. Exclusive Youth Shield Antioxidant Complex hydrates and invigorates skin, while tea tree helps prevent breakouts. Finely ground olive seeds keep skin looking refined and smooth. Great for aging, acneic skin types. Blueberry Soy Exfoliating Cleanser – An exfoliating cream cleanser for normal to dry skin types, and gentle enough for everyday use. Natural alpha hydroxy acids refine skin and pores, while blueberry and soy soothe, yet tighten, and impart a glow to the skin. 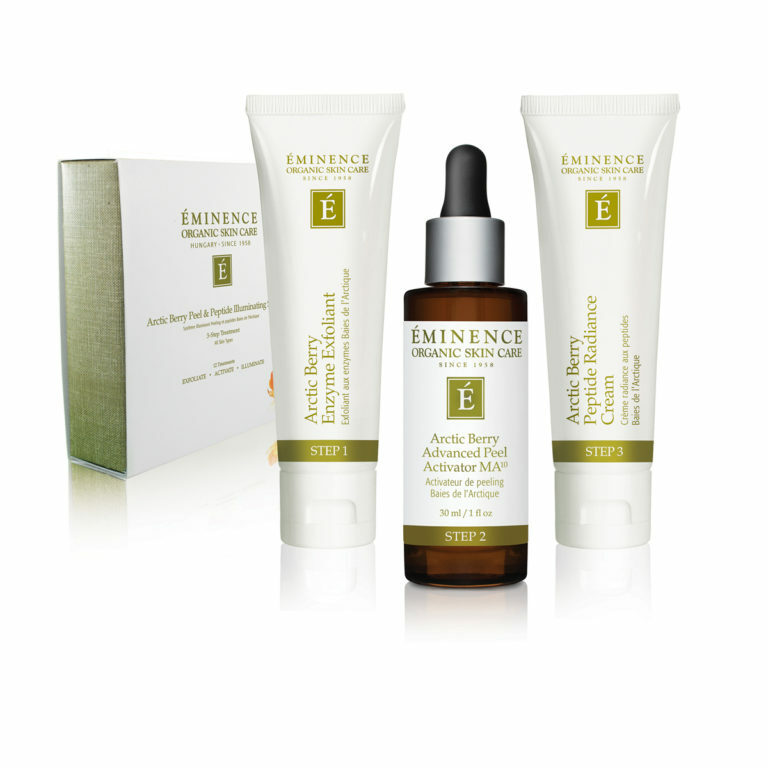 No matter the skin type or issue, Eminence has an exfoliation product that will improve the overall health and appearance of the skin. Don’t forget the SPF! Exfoliation may leave the skin sensitized and more susceptible to sun damage, so make sure to wear sun protection afterwards, such as sunscreen, sunglasses, and/or a hat, when using an exfoliating product in the AM. 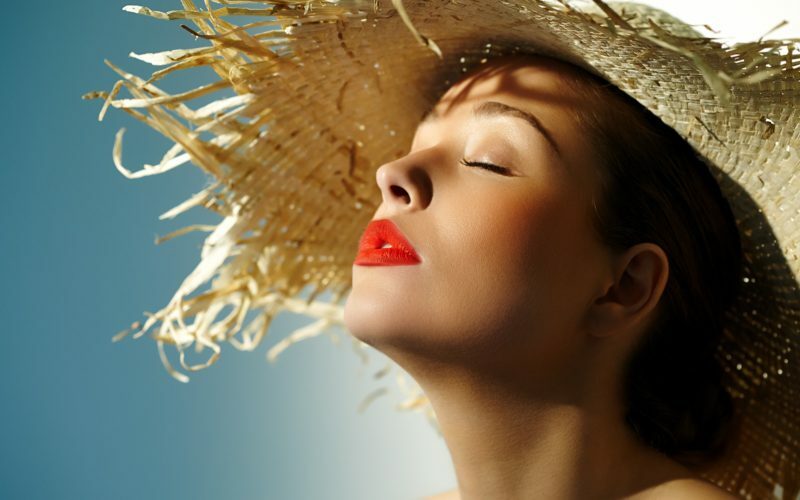 Check out our summer skin care blog for SPF recommendations!